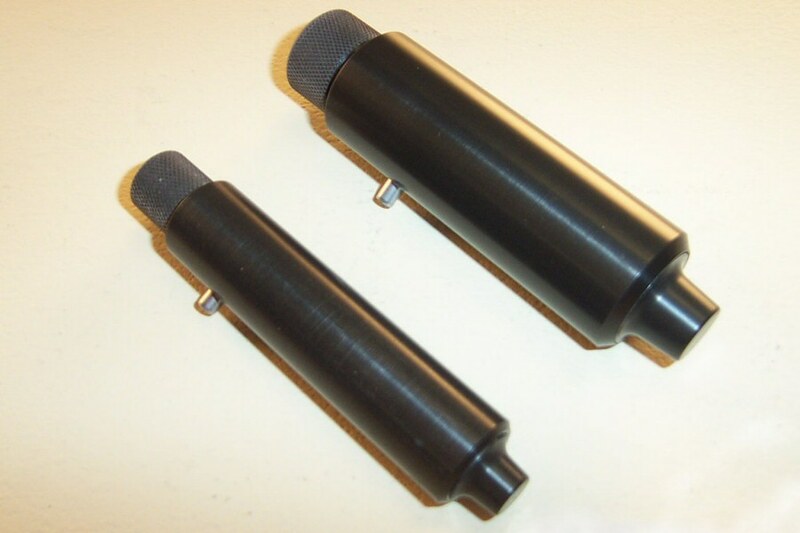 A Cavity pump is a type of star pump that leaves a small cavity on one end. This is achieved by a small extrusion at the end of the star pump that creates a cavity when composition is pressed. This type of star can be used for multiple types of effects. One way to use it is a changing effect. Press and prime only the flat end of your main composition. When dry, fill the cavity with another effect. As the main composition burns down, the second effect is started. This is typically good for color to glitter or strobe effects, as the remaining main effect burns the same time as the secondary effect. Another use is for simultaneous effects such as a colored composition for the main star and a chrysanthemum composition for the secondary effect. Prime the star all over, and when ignited, it will look lie a colored star that leaves a chrysanthemum tail. This effect is called a diadem.